Have you ever thought to change the domain name of your website? You might answer in “No”. But sometimes domain name change is required due to some uncertain circumstances. I will describe that later in this post. In all the cases, I have listed above changing a domain will be a very junky task. It requires a lot of efforts to get the things on the track again. With the help of this article I will try to dive you in domain change process. please follow all the instructions as suggested. Why domain name change is required? Before we move ahead it will be nice to see the reasons people change their domain name. It is just a general evaluation from the cases which I have gone through when people came to me for the domain change request. In most of the cases the reason is branding, re-branding or copyright issues. Your perspective of writing has been changed which you realize late. You don’t like your domain name. LOL, this could be a reason also for new bloggers. So, I will suggest you to go with this article before deciding a perfect domain name for your business or blog. Read Now – How to find a good domain name for your business? 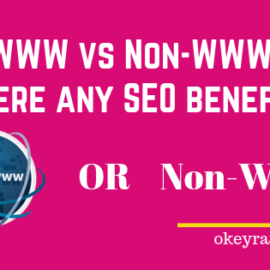 If your domain name change reason is not listed above, then send me your domain name and proper reason at okeyravi@gmail.com. I will add it here. I know it could be ‘n’ number of valid reasons to change a domain name. But if you have already decided to go with it. Then before flipping the switch think about it once again. Now see what are the common preparations which you have to do before this domain change process. Here I have mentioned the steps which you can follow if you want a domain change. Let’s dive into it. This step is pretty straight forward. If you want to switch your domain, you should buy that domain first. This is an important step if your site is old. With the help of tools like Ahref and Semrush You can find out a lot of important information about your website. For Example: Complete SEO Audit, No of Backlinks, No of ranked keywords, DA, PA, Status of ranking pages and more. This information will be very useful to decide what to keep what not? This is a very important step. You don’t even dare to ignore it. Because by chance if you do any mistake you will miss your data. it is not always missing data. Most of the times, It is missing the brand values. It is missing the regular traffic values and it is increasing the 404 page not found error. In my case it is very easy to take a backup. Most of the hosting providers provide better option to take a backup or schedule a backup. I am using GoDaddy and my backup is scheduled for everyday. it can be weekly or once in a month. If your hosting provider doesn’t provide a better backup option then I will recommend you to use these plugins for backup. This is very crucial step. Traffics after changing the domain is totally dependent on this step only. So, give time and learn how to setup proper 301 redirection. If you can’t do it on your own hire somebody to do that for you. This is just an example, you can also do the 301 redirection using Yoast SEO if you are using. This is good for post pages and media files. 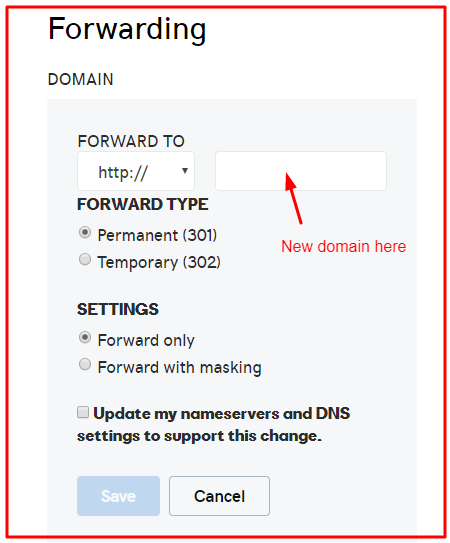 For main domain you can set it up in domain forward setting under your hosting provider dashboard. 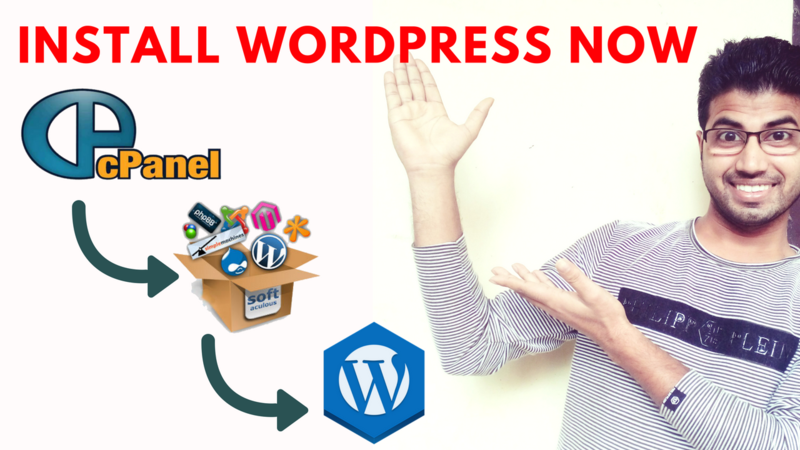 You can do it also with the help of C-Panel redirection. Google is providing change of address tool which you can use after doing the proper redirection and SEO Audit. A change of address notification helps you manage the transition needed by Google to index your new URLs at the new address, while minimizing impact to your current ranking in Google Search results. Read more about it here – How to submit a change of address? Most of my YouTube viewers and website followers are very good in SEO and redirection kinds of stuff. So, they have performed changing a domain task on its own. You can also do it on your own. But, before doing these important task. 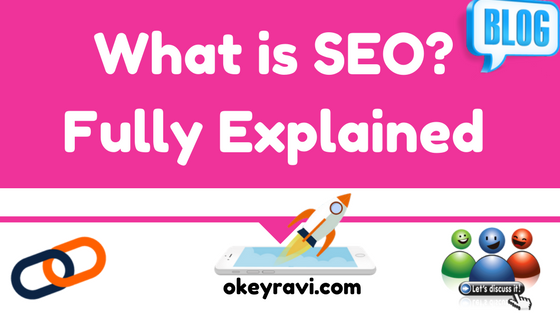 You can educate yourself in SEO and other requirements which i have discussed above. How to do On-page SEO with 30 On-page SEO Checklist? This is also a pretty good idea, if you don’t have time or valuable knowledge to do this. We are also providing these services. You can send this proposal to me. My team will take care of everything. As you know, you may have some good posts on serp’s which takes a lot of visitors to your site. I am taking about those posts which have a good ranking. Especially for those posts, you don’t want to lose the traffic and audience interest. So, performing a proper 301 redirection is very important for all those pieces. 2. Indexing status on the new site – You can check the Google Search console, to see that your posts, pages, images and other stuff are indexed properly or not. If you find any error fix that immediately. 3. Traffic fluctuations – If you are changing your domain then it might possible that your daily traffic will fluctuate. So, Be ready for this. If you can’t find any traffic. Obviously there is something very wrong. 4. Missing Image alt texts – It is quite possible. Changing a domain will change the link of media files also. So, It is possible to get “file not found” i.e media missing or image alt text missing status. 5. 404 page not found status in analytics report – Page not fund is avery common error which you can face if you lack in doing proper redirection. You can find the status of 404 in your Google Analytics. make necessary changes to fix this issue. With this move getting the same search traffic was a serious concern. In the same way telling the world and your audience about this is also a matter of concern. You will sink in flood of questions with why and when. So, Better take it a approach to get more interaction with your valuable visitors. Once you decided that you are changing your domain then tell your visitor prior to doing anything. Ask them what changes they want in the new website like what they like what don’t? When you change your domain? then it’s not about only changing the domain. it’s about rebranding. With domain change there is a lot of other changes are required. Mostly they are Web properties. Email Address -Make sure your new email contains your domain signature. Social Media Handler Names – You also have to change the page name of your social media handles which includes Quora, Facebook, Pinterest, Linkedin, Twitter and more. Updating Blog posts and Pages – When your write a blog post or when you create a Web Page, there is a lot of resources you use including media, links, site name and all. You have to edit each individual post and page according to the new change. Hoping I have done justice to this post. If you are planning to change the domain name of your website. this pot will be very helpful for you. I have tried to discuss each minute details. Changing a domain name is not a very difficult procedure. but also It is not a thing which common people do every day. There are some small details which you have to take care of which performing this change. If you have any query of suggestion. Reach us or comment below. Have a good day. Good Luck! Reading this post provides better techniques about a domain name change. Fabulous post, appreciates author for sharing this post. Hey, I am glad that you liked it. Have you ever gone through this domain name change process? Thanks! !I was searching all of google for changing Domain name without hurting seo and your article works thanks thanks. thanks for sharing this article ….. I am glad that you liked it. Have you gone through domain change process ever?